The loss of power that comes with being abused and the shock of how profoundly life can change over a single moment can leave a person with deep wounds that seem to never heal. A specialist in abuse & trauma counseling can help find the wounds and start the healing process in the most gentle and caring way possible. Abuse and trauma are words that are often said together, and while it’s safe to say many experiences of abuse are traumatic, not all trauma comes from abuse. A professional counselor can help to determine what you might be experiencing and how to go about the healing process. Trauma can be described as a singular event or a series of events in which life changes dramatically. Many times the events are so significant, there are simply too many emotions to consider and process at that time. As a result, the mind shuts down the experience and processing of these emotions in order for a person to continue functioning and to survive. This is actually a helpful self-protective mechanism that prevents us from completely breaking down in the midst of serious life-changing situations. In many respects, it’s like hitting the pause button to allow us the time we need to cope and survive. The only problem is many people who suffer trauma don’t know how to un-pause their emotions. Because of this, people who suffer from trauma find themselves stuck. There are times when they can flash back and experience the same feelings from the past as though they were re-living it all over again. Trauma can be described as slipping between past and present making it difficult to function normally in day-to-day routines. For intense trauma, these experiences can manifest as symptoms of PTSD. 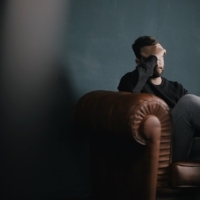 These symptoms are the mind’s way of trying to process the enormous backlog of emotions and to jumpstart a person’s emotional state that has been put on pause or has stalled out. With this understanding of trauma, it becomes easier to understand how abuse can often times be a traumatic experience, even though trauma isn’t limited to only experiences of abuse. For example, the sudden death and loss of a loved one is certainly traumatic, but also certainly not an experience that stems from abuse. There are many forms of abuse, and there are many ways to describe or define it. For the purposes of this article, we’ll describe abuse as the taking of power and respect from another person in order to subjugate and manipulate for one’s own selfish gain. In this way, abuse can be physical, emotional, or sexual. Many victims of abuse experience violation at an early age when self-respect and a sense personal power or boundaries are still frail and formative. For others, the taking of power can happen slowly and over time until they no longer realize they are being abused. Whichever the case may be, the common denominator is a loss of power and the loss of a person’s voice to speak out and respect oneself. Victims of abuse suffer from a number of symptoms and have difficulty engaging in healthy relationships due to a number of factors. It’s not uncommon for victims of abuse to become stalled or stuck emotionally around the age at which the abuse occurred. The mind switches into survival mode and learns to cope with the pain and trauma. Without proper guidance and counseling, it’s difficult to process the emotions and become unstuck. As a result, even though abuse victims may continue to grow older and engage in new relationships, emotional responses remain the same and resemble the survival mode because there has been no recovery or advancement of emotional capacity. As a result, intimate relationships can become difficult if not painful. Normal hurts and pains that occur in meaningful relationships can be far too similar to the pain of abuse that occurred years in the past. When this happens, the trauma begins to cause the abused victim to shift back and forth between past and present as though they were experiencing the pain of their abuse all over again. Those who have suffered abuse have experienced the loss of their voice, or in other words, they are no longer able to speak out and for themselves because of fear. Rational or not, these are just a few examples of why victims of abuse lose the power of their voice. Finding themselves stuck in these kinds of dilemma, and as time goes on, it becomes easier to see why those who suffer abuse begin to lose their sense of self-respect and fall into a pattern of managing the needs and expectations of others. Their role becomes the one who carries the burden of shame and the one who must be responsible for keeping everyone happy. After being repeatedly treated as less than human, victims of abuse begin to believe they must not be worth very much if they are treated as such for so long. And without anyone to blame or to protect them, it becomes easier to blame oneself, which only reinforces the feelings of worthlessness, guilt and shame. 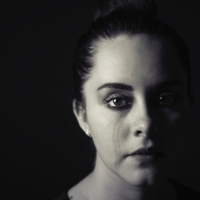 Combining the loss of self-worth along with the distorted belief of what or who they are responsible for, the natural progression, as abuse victims grow in age, is to have an underdeveloped sense of identity and unhealthy boundaries in relationships. Relationships become increasingly difficult to manage and eventually lead to disconnectedness and isolation. It’s never easy to open old wounds, especially if you’ve been able to survive and “move-on” with life. But at some point, when life and relationships demand more than you’re emotionally capable of, and you’re left with the choice of pushing away those you love or digging in to do the work, we hope you’ll chose to love yourself well and do the hard work of healing. If you do choose to heal the wounds of abuse, we hope you won’t go at it alone. Please reach out to one of our trained counselors who can help walk you wisely and gently through the steps of recovery.